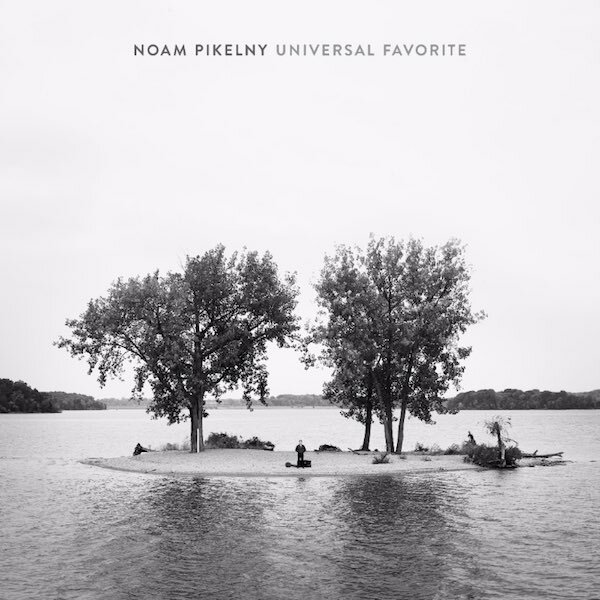 Noam Pikelny has announced that his new album Universal Favorite, will be available in March 2017. I’m less thrilled to announce that 42 minutes of music is all I have to show for an entire year of my life – Noam Pikelny. The music on Universal Favorite is performed all Noam without any band or accompaniment. The album is a collection of new originals coupled with some songs that other people have written but never properly performed or recorded before Universal Favorite. Universal Favorite features Noam on banjo, vocals, acoustic and electric guitar and – as described by Noam – other oddball instruments. My fellow Punch Brother, Gabe Witcher, produced the record and assured me, soon after we agreed on his fee, that my singing is now safe for public consumption, thanks to my hard work and the nearly complete demonetisation of the recorded music industry – Noam Pikelny. Pre-order details will be announced after the holidays. In the meantime, if you’d like a sneak peek, you can hear it on the YouTube clip below. I’m proud to say that Universal Favorite will be my debut release on Rounder Records, an institution that has had an impact on my life on par with the Chicago Cubs, my parents, and British Knights sneakers. I’d wager that I wouldn’t be making a living playing music if it weren’t for the music propagated by Rounder over the last 36 years. So I think it’s proper that they now share some of the risk – Noam Pikelny. The Punch Brothers are heading Downunder and set to perform at the Adelaide International Guitar Festival on 1oth August at the Festival Theatre. It is unknown at this stage whether there are other planned Australian appearances. New York’s charismatic Punch Brothers are at the frontier of an emerging form of country-inspired chamber music. Their instrumental prowess and exquisite ensemble have won them countless fans in concert halls, live music clubs and cyberspace. Punch Brothers’ inimitable set lists span from Bach and Mozart through tender original songs, chamber suites and traditional bluegrass, to covers of Radiohead, The Beatles, The Strokes and many more. Unbound by notions of genre, their collaborative, porous approach to music making results in an extraordinary dynamic performance, laced with breathless emotion and humour. In Australia for the first time, Punch Brothers features serial collaborator Chris Thile (mandolin and lead vocals), Noam Pikelny (banjo), Gabe Witcher (fiddle), Chris Eldridge (guitar), and Paul Kowert (bass). We received this email from Compass Records this week noting the release of the Funny or Die Video, featuring Steve Martin, Ed Helms, Noam Pikelny, Earl Scruggs, Gill. As you can tell from the video, renowned banjo player Noam Pikelny’s new Compass Records album Beat the Devil and Carry A Rail narrowly escapes creative failure with help from his Bluegrass community friends: Steve Martin, Ed Helms, Earl Scruggs, Béla Fleck, Chris Thile, Gillian Welch, and Dave Rawlings. The long awaited second album from Punch Brothers’ banjoist and winner of the 2010 Steve Martin Prize for Excellence in Banjo and Bluegrass. Album features: Jerry Douglas, Aoife O’Donovan, Tim O’Brien, Steve Martin, Bryan Sutton and Chris Thile. Free Download of Jim Thompson’s Horse is available on NoamPikelny.com. 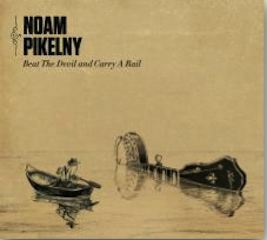 Noam Pikelny is releasing his long awaited second album Beat The Devil and Carry A Rail on Tuesday, 25th October, 2011 on Compass Records. Pikelny is undeniably the next big thing to happen to the 5-string banjo, a player of unparalleled technique, he confounds and inspires listeners with his mastery of the instrument. As a member of Punch Brothers, he has helped to broaden the awareness of the banjo in the mainstream, earning the first annual Steve Martin Prize for Excellence in Banjo and Bluegrass Music and a coveted appearance on Late Night with David Letterman with Martin. Noam is currently offering a free download of the first track from the album, Jim Thompson’s Horse – see below. On his long-awaited sophomore recording, Noam delivers a set that is as dazzling for its virtuosity as it is engaging for its melodic sensibilities. In addition to an all star cast of instrumentalists including Bryan Sutton on guitar) Chris Thile on mandolin), Tim O’Brien on mandolin and fiddle and Jerry Douglas on Dobro. He also shares the spotlight with guest vocalists Aoife O’Donovan (Crooked Still) on a delightful rendering of Tom Waits’ Fish and Bird and Tim O’Brien on a re-working of the Henry Thomas classic Bob Mckinney. Other standout tracks include a banjo duet with Steve Martin on the old-time standard Cluck Old Hen and a mind-boggling, instrumental powerhouse trio featuring Chris Thile and Bryan Sutton on the original Bear Dog Grit. Rounding out the band is fiddler Stuart Duncan, Punch Brothers guitarist Chris Eldridge, and bassist Mark Schatz. The release marks Punch Brothers fiddler Gabe Witcher’s debut as producer.